PRINCE2® is a project management methodology practised and recognised on a worldwide scale. This is a classroom-based, exam prepration course led by PRINCE2® qualified, experienced project management trainers. The course syllabus follows the requirements laid down by Axelos, the certification body. We offer flexibility for in-company PRINCE2® bookings. You can choose to complete both certifications within 5 consecutive days, take a break between completing Foundation and Practitioner levels, or choose to complete only 1 certification. What are the Benefits of this PRINCE2® Course? We include everything your team needs to achieve PRINCE2® Certification. 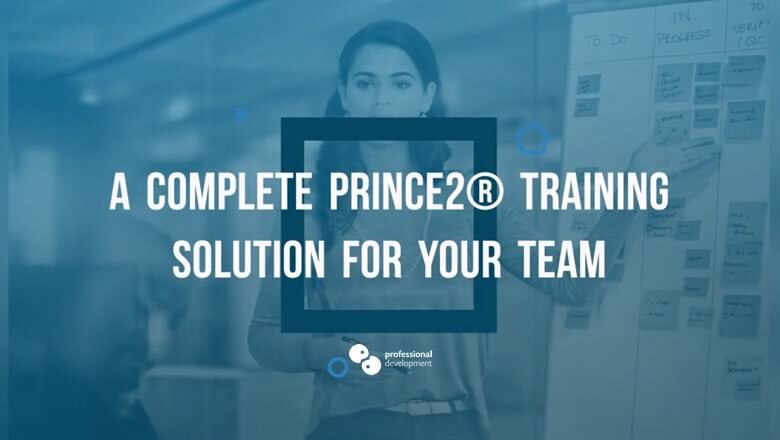 Our solution incorporates access to pre-course familiarisation reading, intensive classroom training, the official Axelos manual “Managing Successful Projects with PRINCE2®” - 2017 edition, physical classroom materials, exam and certification costs. You can choose when the training will be delivered and which certifications you would like the team to work towards. Our delivery style is intensive. Participants receive pre-course familiarisation reading to prepare them for classroom training. This formula is very effective for achieving success with the PRINCE2® exams. Through covering the course syllabus, you will gain an understanding of the principles of the PRINCE2® project management framework. 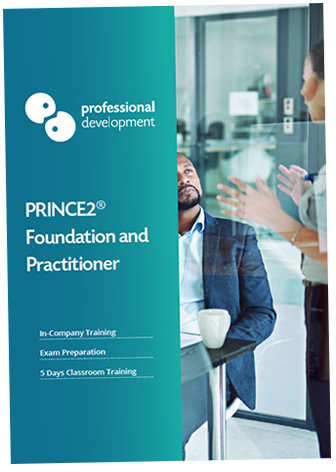 When scheduling an in-company PRINCE2® course, you can select both certifications (Foundation and Practitioner), begin with Foundation level, or if your team have already achieved Foundation certification, select only Practitioner level. If you decide to opt for both certifications, we can deliver intensive training over 5 consecutive days or take a break between certifications (3 days + 2 days). Your decision will depend on what is most effective for your team’s needs and current schedule. We can advise on the most beneficial course of action. Click below to ask a question or download our detailed course brochure. You can call us directly on Freephone 1800 910 810 to speak with one of our training consultants. Pre-course familiarisation reading is important for all participants of PRINCE2® courses. Each participant will also need to set aside time during the evenings of the training for study. We will guide you at each stage of the planning process, making sure that your team have advance access to the pre-course reading that is required to support their training. We’ll be happy to answer any questions you may have about our PRINCE2® training. Our experienced training consultants can advise on the most effective training format for your team's needs. If you would like to speak with our training consultants, you can call us on Freephone 1800 910 810. You can click below to ask us a quick question. Alternatively, our brochure includes detailed information on our approach to PRINCE2®.